Dear Students, the banking industry gives enormous opportunities to youngsters in the country. IBPS too has released the calendar for this year's IBPS PO/ Clerk Exams and the exams start from October this year. To help you make your grip stronger over the subjects that will be asked in the IBPS PO and Clerk examinations, here is Adda247 IBPS PO/Clerk Pre 2019 Video Course (Hindi/English Medium). 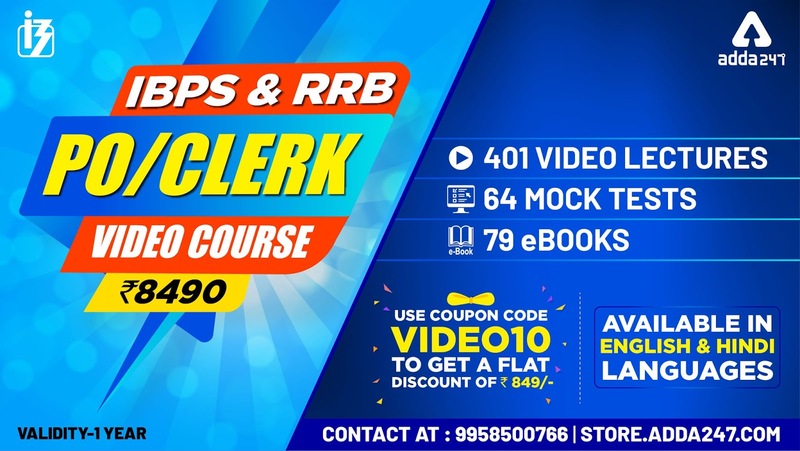 All the students who have doubts in the subjects that will be asked in IBPS PO and Clerk examinations, they are not even able to clear the concepts on their own and want to join coaching classes for the same can get this video course.